What TMS predictors of outcome in bipolar depression and unipolar major depression can we use to identify those who are likely to respond to treatment? 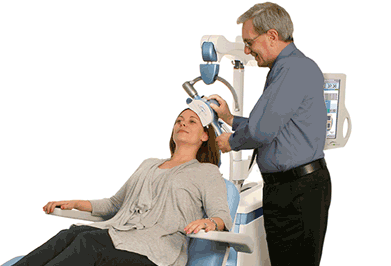 An article in 2017 in the journal Clinical Neurophysiology reports data from a very large series of patients with both types of depression who were treated with TMS. The study looked at records from 105 patients with major depression and 150 patients with bipolar depression. This is the largest study to date, and is also one of the largest case series of patients with bipolar depression. There was no effect on outcomes by type of depression. Bipolar and unipolar depressed patients had similar good response rates, with almost all showing some improvement, and 50-60% showing a clinically significant response. As has been previously noted, older patients tended to have a poorer response. This may reflect increased distance between the skull and the pre-frontal cortex in older patients, which might require higher intensity stimulation. Cognitive – affective symptoms were better predictors of response than somatic symptoms of depression. Loss of interest and pleasure was the top predictor. In patients with unipolar depression, loss of interest, worthlessness, fatigue and sleep disturbance were the best predictors of response. In patients with bipolar depression, loss of interest, fatigue, appetite problems, sadness and indecisiveness were the best predictors. In both groups, higher scores on the predictor symptoms were very useful in predicting outcomes. Rostami R, Kazemi R, Nitsche MA, Gholipour F, Salehinejad MA. Clinical and demographic predictors of response to rTMS treatment in unipolar and bipolar depressive disorders. Clin Neurophysiol. 2017 Oct;128(10):1961-1970. doi: 10.1016/j.clinph.2017.07.395. Epub 2017 Jul 24. PubMed PMID: 28829979.